For the selective isolation of Aeromonas hydrophila from clinical and environmental samples. Aeromonas Agar Base is based on the formulation of Ryan – which is the modification of XLD Medium that has been designed to improve the count and isolation of Aeromonas in clinical and environmental samples. The medium is better than any other medium in the detection of Aeromonas in water, bottled water and food samples. Proteose peptone is the nitrogen, vitamin, minerals and amino acids source which are essential for growth. L-Lysine and L-arginine provides nitrogen, sulphur and trace elements. Yeast extract needs to be the source of B group vitamins. Carbohydrates are lactose, sorbitol and xylose. Sodium thiosulphate provides sulphur and ferric ammonium citrate is the indicator of H2S production. H2S positive colonies have black centre. Mixed indicators change their colour too yellow when acid is formed. 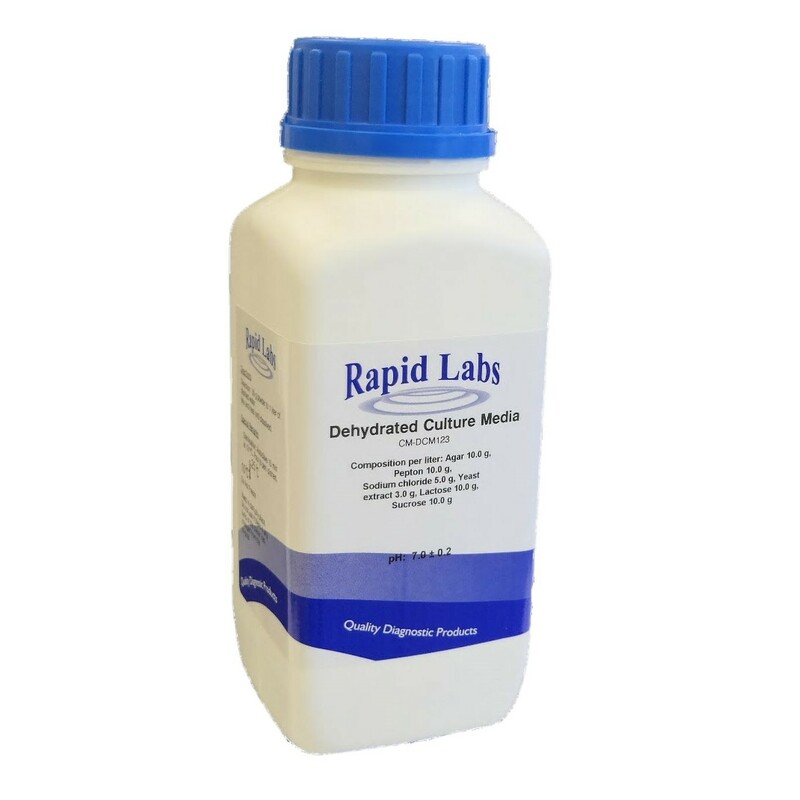 Add 28.1 grams of dehydrated culture medium to 500ml litre of distilled water. Boil for 1 minute. Do not overheat or autoclave it. 1. The powder is homogeneous, free flowing and beige. Store the sealed bottle containing the dehydrated medium at 25 to 30°C. Once opened and recapped, place the container in a low humidity environment at the same storage temperature. Protect it from moisture and light. The dehydrated medium should be discarded if it is not free flowing or if the colour has changed from the original light beige colour.